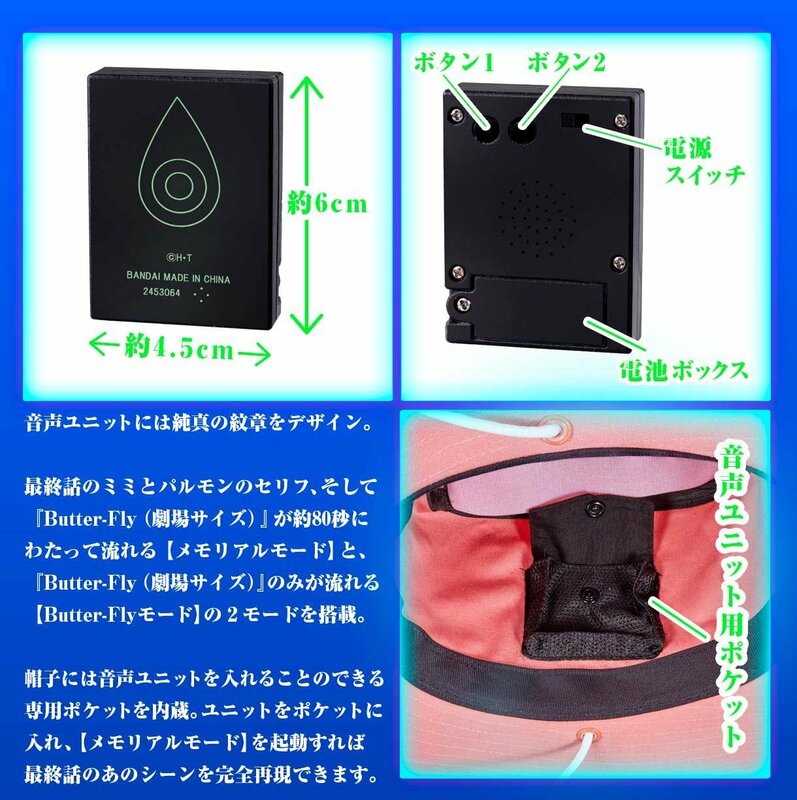 Premium Bandai has announced a new product! 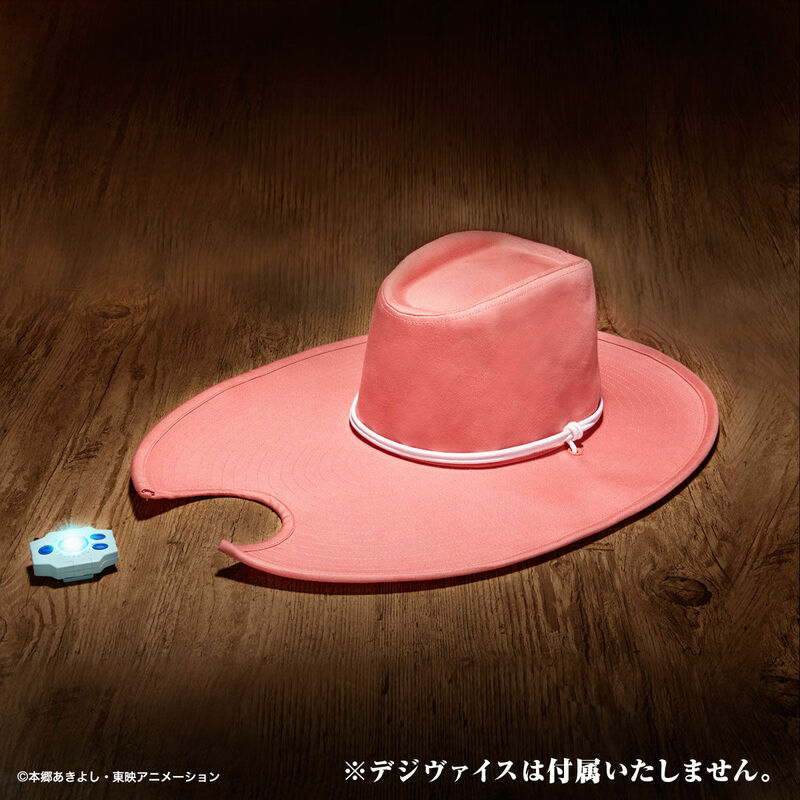 The full name is Digimon Adventure Memorial Goods Mimi's Hat! 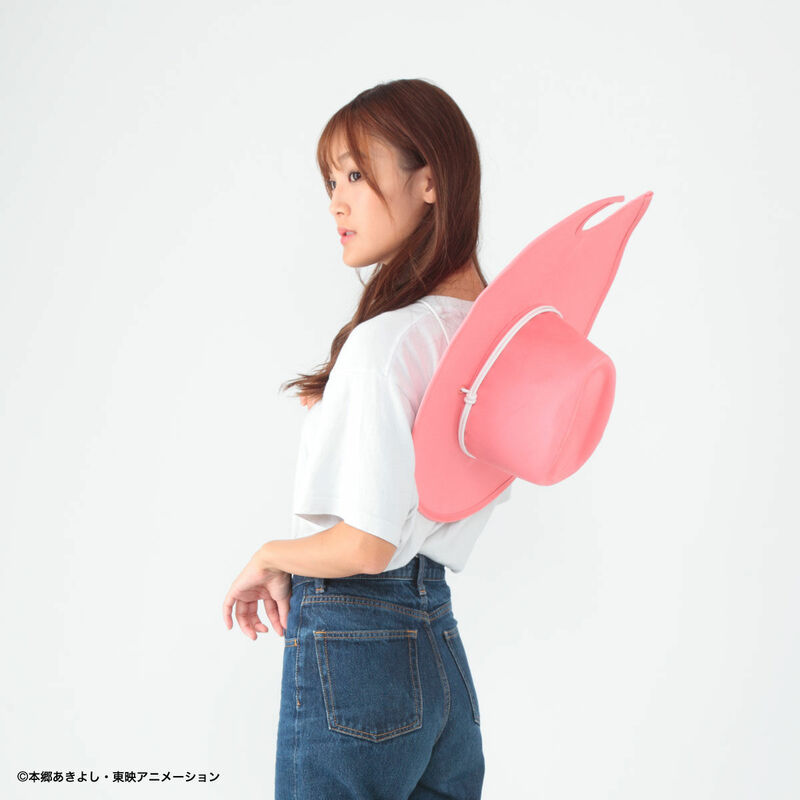 This reproduction of Mimi's hat from Digimon Adventure is one of those products that has long been requested, and they've gone to extra effort for this one! 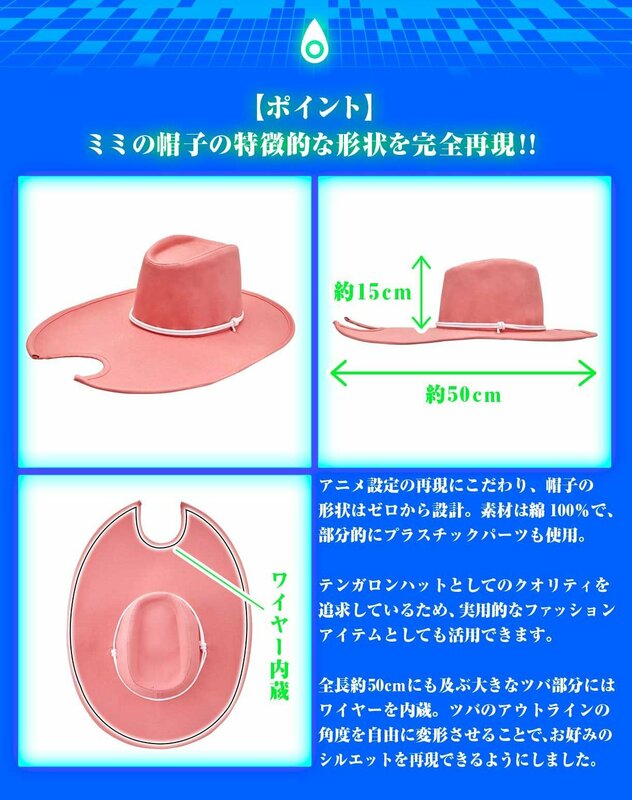 It's a big life size version of the hat made with various materials, including wire, so that it's strongly made and stands out well. In fact, they've re-recorded 'that' scene with AiM and Kinoko Yamada under supervision from Adventure Director Kakudou. 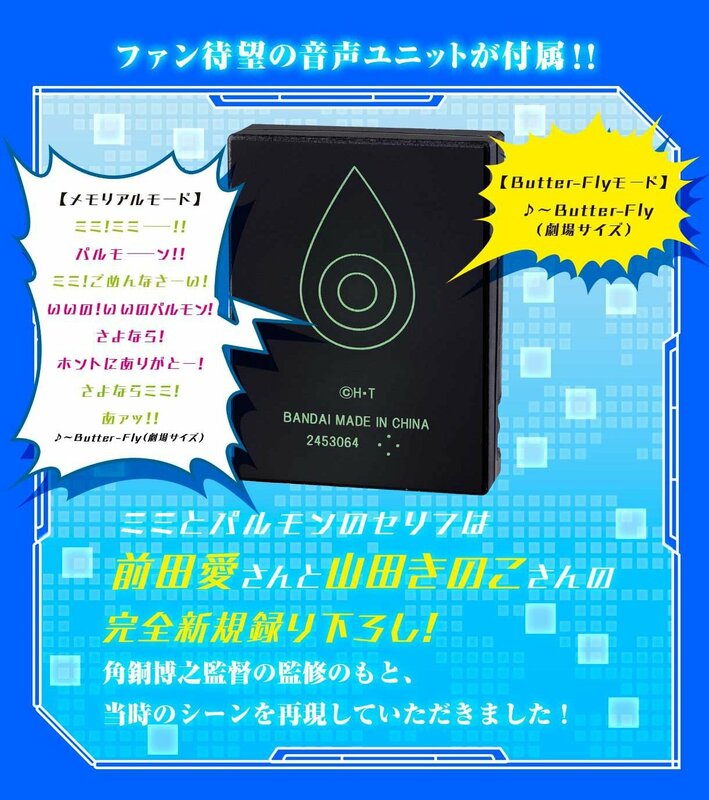 The audio box has two modes- Memorial, where the dialogue plays with Butter-Fly behind it for about 80 seconds, and Butter-Fly, where only the music plays. 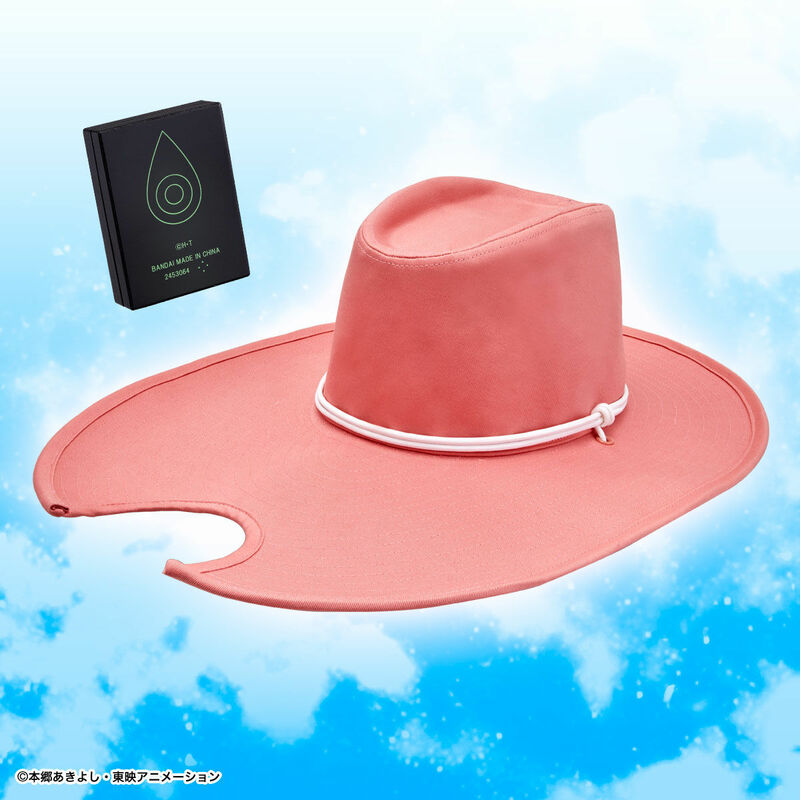 Mimi's hat is available to pre-order at Premium Bandai. 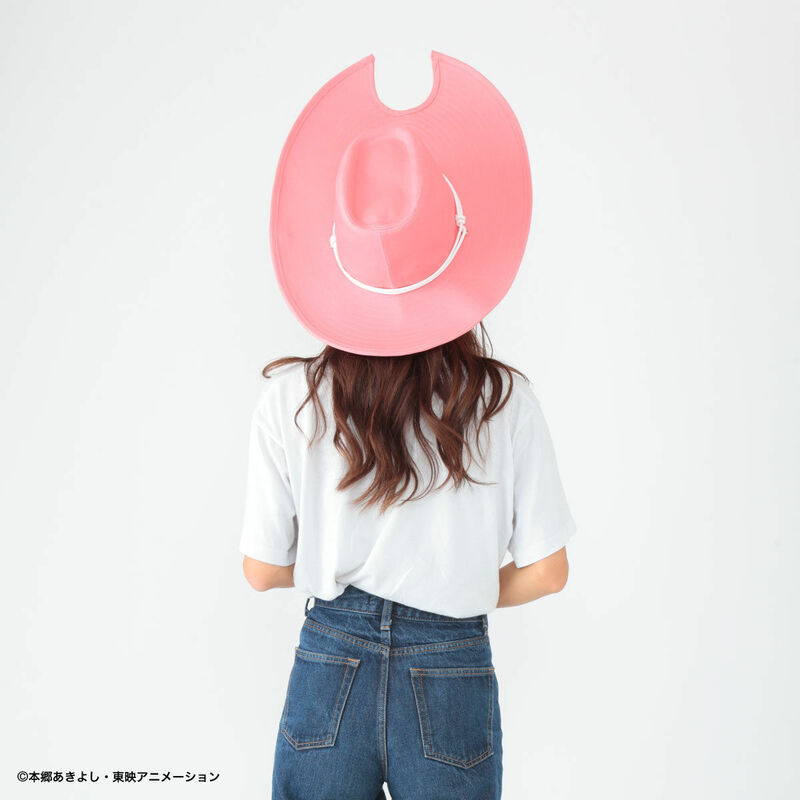 It costs 12,960 yen. Pre-orders will be open until October 8th and it'll ship in December. The summer vacation adventure of the 8 children is over. However, the gate does not remain closed because of the adventure of the chosen children. This is because it is neither the beginning nor the end. The gate to the Digital World will surely be opened again. If you do not forget the Digimon, it is possible. So Tai's goggles, Mimi's hat... what else? Sora's helmet? Izzy's gloves? Joe's bookbag? I didn't even think of Joe's bag, but yeah, that and Sora's helmet/knit cap seem like real contenders down the line. Not sure how they'd do Sora's hat. They'd have to use the material Batman's "wings" are made from in Batman Begins. While this isn't something I'd purchase, I can certainly respect the craftsmanship. It looks amazing. What makes me happiest, though, is that they brought Ai Maeda back into the recording booth. I've really missed the original actors for the children since tri. came around.